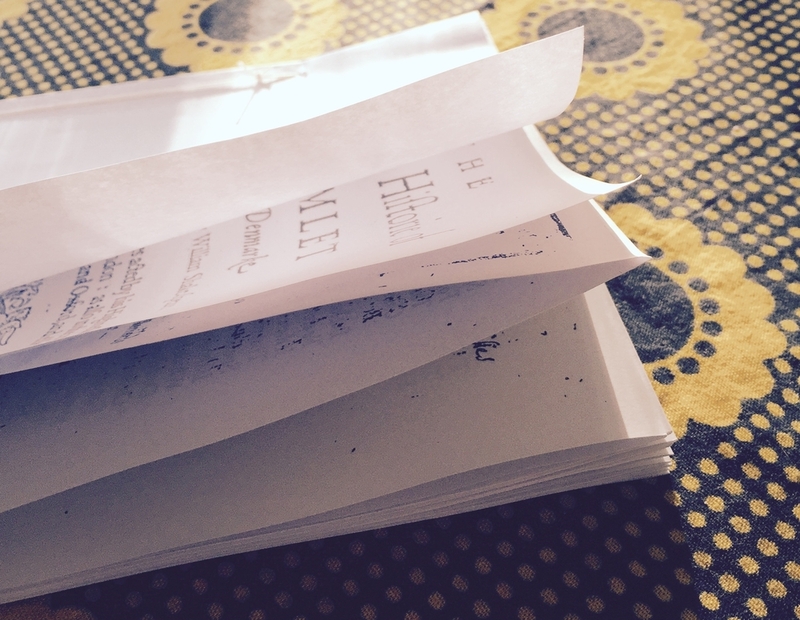 Last week, I posted an account of making Q1 Hamlet quartos with my Shakespeare students. You can find a pdf of the sheets I made for this activity here. * To produce these sheets, I used the good old fashioned technique of cutting up EEBO printouts and taping them back together. If you want to do this activity with your students, you should print the document double-sided on 11x17" paper, making sure that the orientation is correct. You can find the minimalist handout I distributed to my students at the beginning of the activity here. I arranged the sheets in piles at the front of the room, distributed the handout, and let my students figure out the rest themselves. As for other materials, I used awls from my local hardware store, and bookbinding needles and thread from my local art supply shop. Please feel free to use these materials in your own classes. If you do, I'd love to hear how it goes! * If Titus Andronicus is more your speed, you can check out my colleague Aaron Pratt's sheets of Q1 Titus here.